Today, I am with the team from Khalifah Model School (Secondary) and Khalifah Education Foundation visited MUIS, al-Mawaddah Mosque and PERGAS HQ in Singapore. The last time I discussed about Islamic Education in Singapore with friends, was around year 2007 or 2008 when Madrasahs in Singapore were in dilemma after the government imposed compulsory education back then. I was very worried listening to the stories and at that time I thought, Singapore must do something since the paradigm of Islamic Education at that time looked poor. The disintegration between Diniyyah and Academic curriculum and Madrasahs against public schools was not encouraging. 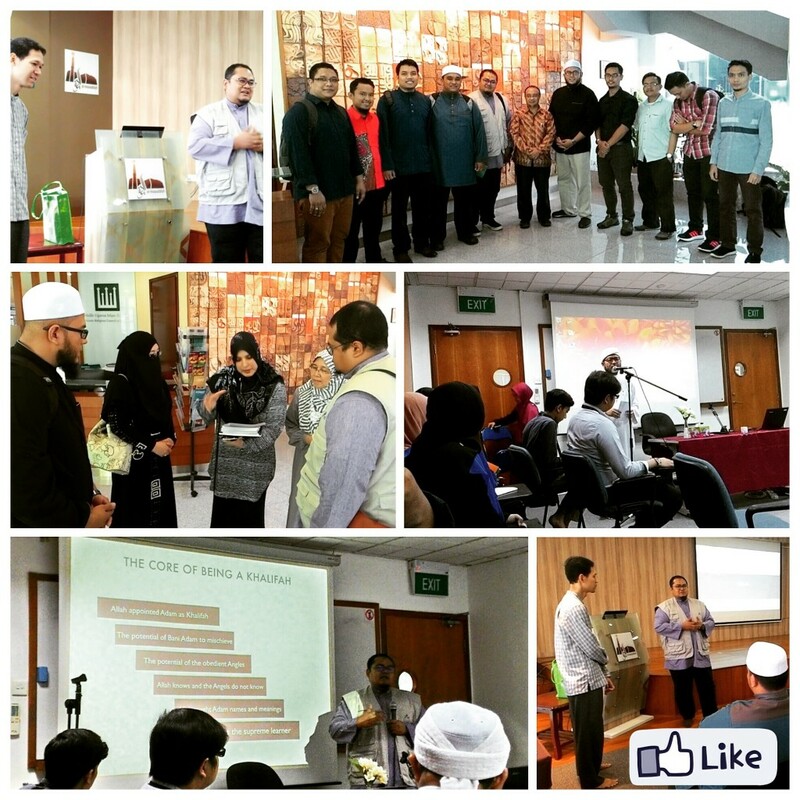 Later on, I was not sure where can I get the latest information and progress regarding Islamic education in Singapore. But today, I had the opportunity to meet and discuss about the latest progress on Islamic education with MUIS, and we were introduced to the Joint Madrasah System (JMS) and I was overwhelmed listening to the presentation. Not only the integration between the Diniyyah curriculum with the academic has produced many internationally recognised qualifications such as GCSE Cambridge and IB but the Islamic education has also embrace the 21st century education with more learner centered, with high level of progressivism and even learning Islam has become fun, dynamic and exciting. Now, our Singaporean brothers and sisters can pursue their tertiary education in Islamic Studies in countries like Egypt, Jordan and similar destinations directly from Madrasah, without the need to take a diploma in Malaysia like many did several years ago. Congratulations MUIS and Singaporean Muslims for the great job in education.